As strange as it sounds, a computer can be an artist’s best friend. While traditional artforms like painting and sketching are still widely popular, there are some things you can do on a computer that you just can’t do when you’re drawing on paper. Conversely, a mouse is no substitute for a paintbrush or pencil and you’ll have a very difficult time drawing accurately with it. Graphics tablets were created to bridge the gap between these two great tools. A graphics tablet is essentially a larger version of a laptop touchpad that allows you to use a stylus to draw on your computer. All you have to do is plug the tablet into your computer, open up your favorite photo editing or drawing program, and start drawing. 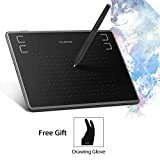 Your graphics tablet will pick each stroke up and transmit the results to your computer. This may sound like a great tool if you’re an artist, but that’s only true if you buy the right tablet. A bad graphics tablet may not pick up all the strokes you make, and cheaper graphics tablets may be too small for you to comfortably draw on. Take a look at our comparison of some of the top graphics tablets on the market to help you decide which graphics tablet satisfies your needs without costing you an arm and a leg. The first thing you’ll want to think about when you shop for a graphics tablet is what you’re looking for. 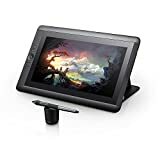 You can opt for a cheaper, smaller tablet if you’re just buying something for your kids to play with, but a larger, higher quality tablet is the only way to go if you need to draw with professional quality. 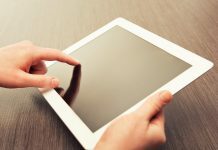 Smaller tablets may also be a problem for people with larger or less nimble hands. You should also make sure to look for a tablet that’s compatible with your operating system. 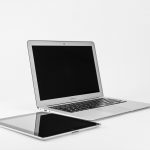 While most graphics tablets will be safe for use on just about any Windows or Mac computer, you may have to look a bit more carefully if you’re using an older operating system or trying to use an older graphics tablet with a newer operating system. The last thing you want is to spend a bunch of money on a graphics tablet only to discover it doesn’t even work with your computer. Another thing to look for in graphics tablets is versatility. 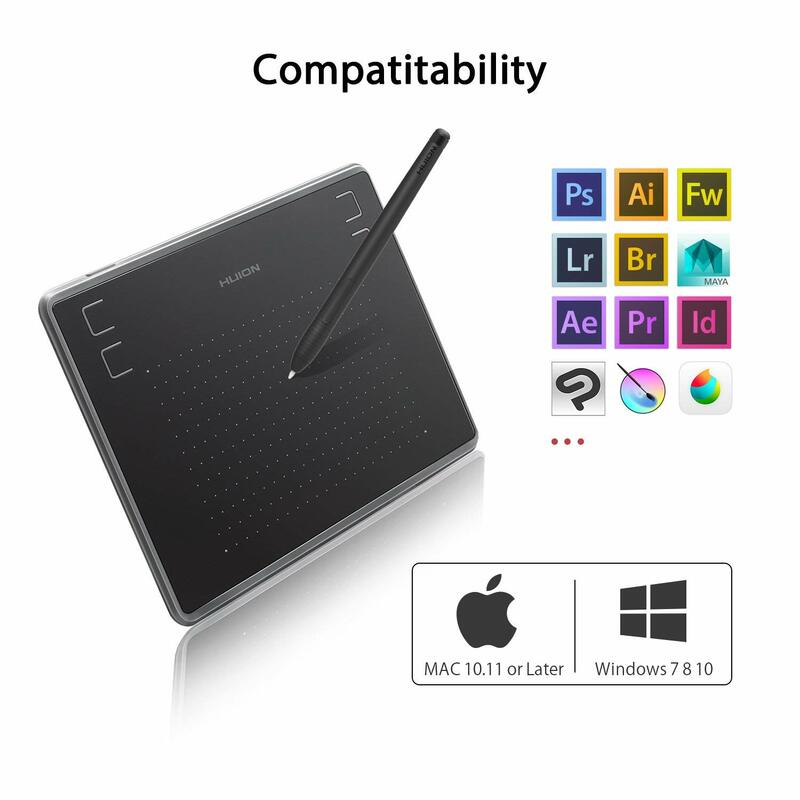 You want your graphics tablet to be compatible with as many different programs as possible, and you want to be able to perform a range of functions in all those programs. That’s exactly what you get when you shop for a versatile graphics tablet. The last thing you should look at—though it’s certainly not the least important part of a graphics tablet—is the actual image quality. Graphics tablets vary quite a bit in image quality based on resolution, so you should look for a graphics tablet with a high resolution so you can really nail those fine lines and little details in your drawings. One of the biggest problems many people have with graphics tablets is that they can feel a bit cramped. This is because a lot of graphics tablets are designed to sit on your desk next to all your other computer peripherals, so they have to be small. If you’re really going to be doing some serious drawing, you need a tablet with a large screen like the Wacom Cintiq 22HD touch pen display. This behemoth has a 21.5” screen with a 1920 x 1080 resolution that gives you tons of space to draw on. 2,048 different levels of pen pressure give you the ability to draw a variety of different line thicknesses depending on how hard you press down the pen. The downside to the Wacom Cintiq 22HD is the fact that it’s quite large with a width of 25.6” and a weight of 18.8 lbs with the stand included. However, the quality and large drawing area are both huge pluses, so this is still one of the best graphics tablets. If 21.5” is a bit too large for your workspace or computer desk, you can still take a step down without going all the way down to a mini graphics tablet. The XP-Pen Artist 15.6 pen display is a nice tablet that gives you a 15.6” IPS display with a resolution of 1920 x 1080, which is perfect for drawing. The IPS display means you get clearer, more vivid colors with great viewing angles. When you plug the Artist 15.6 into your computer, you can use it with displays up to 4K. XP-Pen even took the liberty of adding six express keys which you can customize to your liking. These keys allow you to map your favorite functions to easy-to-use keys, whether you want to quickly rotate your canvas or change from a drawing tool to an eraser. Wacom graphics tablets have been one of the most popular choices since the dawn of graphics tablets, and they still make some of the best tablets on the market. The Intuos Pro is Wacom’s newest graphics tablet, and it’s got a great design for both professional and amateur artists. The large version of the Intuos Pro graphics tablet is great because it gives you plenty of drawing room without feeling too bulky. The Wacom Pro Pen 2 will feel great in your hand and gives you a wide range of different choices for pressure. The really cool part about this Wacom pen is the fact that it’s designed to have pretty much zero lag, so you don’t have to worry about your strokes feeling slow on screen. 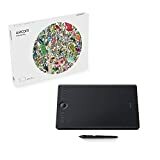 If you like the features of the Wacom Intuos Pro (Large) but are looking for something that you can more comfortably fit on your desk at home, the Wacom Intuos Pro (Medium) may be the right choice for you. This tablet is 13.2” x 8.5” x 0.3”, whereas the large version of the Intuos Pro clocks in at 16.8” x 11.2” x 0.3”. The large version of this tablet also weighs quite a bit more, coming in at 2.86 lbs compared to the 1.54 lbs of the medium version. No matter which version of the Intuos Pro you choose, you’ll get the Pro Pen 2 with extra nibs, eight customizable express keys, and both PC and Mac compatibility. As far as graphics tablets go, this is about as good as it gets if you’re new to drawing on computers. Brand Battery-free Stylus - Never worry about pen-charging, first of Huion's products features battery-free stylus. 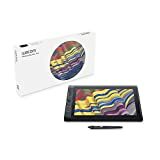 8192 Levels of Pen Pressure Sensitivity - Enjoy the accuracy and precision when using animation tablet; Only 8mm thick and weigh 227g, 6.3×3.9 inch sufficient working surface, easy to carry the art tablet around. 6 Customizable Express Keys - Keep all your favourite short-cut in handy. Durable Paper-like Surface - The graphic design digital tablet is coated with top graded material ensure long-term usage and fine texture; The whole digital tablet surface is covered with bezel-less design and round corners, giving this art tablet a sleek look. Huion is far from the first name that comes to mind when talking about graphics tablets, but that doesn’t mean they don’t make a solid tablet—especially if you’re only looking for a good beginner tablet. The Huion H640P is a great starter tablet because you’ll only have to spend little on it. Not only that, the 10.2” x 5.8” size means it’s a great tablet to take with you when you’re on the road. 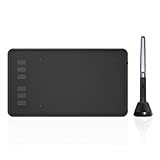 Despite the fact that this tablet is considerably smaller than a lot of other graphics tablets you’ll find on the market, you still get a wide range of sensitivity levels, six customizable express keys, and a nice battery-free stylus that provides smooth strokes with little lag. The H640P even comes with a 12-month warranty in case anything happens to your tablet within the first year that you own it. For many people, the idea of buying a graphics tablet that only allows you to draw on the computer may seem a bit frivolous. As nice as it may sound to have a tool like this, it’s simply not necessary for a lot of people. If you’re having trouble justifying the purchase of a dedicated graphics tablet, perhaps you’d rather buy a graphics tablet that doubles as a laptop. The Wacom MobileStudio Pro 13 comes equipped with an Intel Core i5 processor, a 128 GB SSD, 8 GB of DDR3 RAM, and Intel Iris Graphics 550. This means you get great performance when using your Wacom MobileStudio to draw, but you also have the opportunity to use your “tablet” as a simple laptop if you so desire. Designed for playing OSU! Game, digital drawing, painting, signature in Microsoft Excel, Word, One Note. Nice for kids, students and amateur in digital art. Battery-free Pen : No need to charge or battery, allowing continuous use in game play and drawing. 2 buttons on the pen can be customizable. 4096 Levels Pen Pressure: 2 times increased in pen pressure offer more accurate and responsive performance. Send a free size glove as a gift. Compact Design: 4 express keys can be customized per your request to improve work flow. 4.8 x 3 inches in working area, 135g in weight and 6.3mm in height. OS Support: Windows 7 or later, macOS 10.11 or later. Drawing Program Support: Corel Painter, CorelDraw, Adobe Photoshop, Adobe Illustrator,SAI etc. 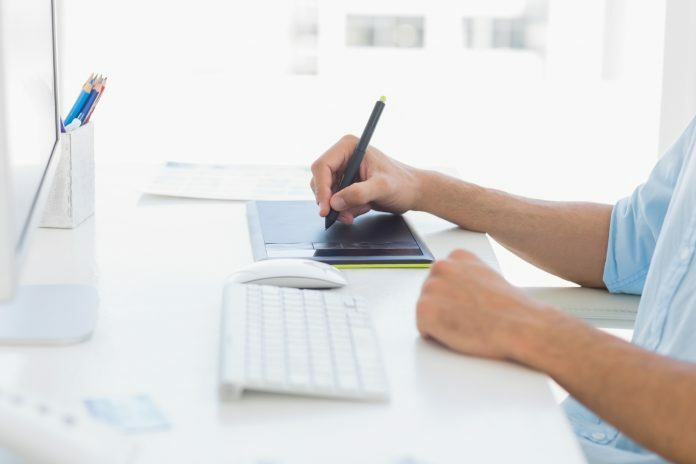 If you’re just getting started in the world of graphics tablets and aren’t trying to buy something for commercial or professional use, a cheaper graphics tablet can get the job done for most people. 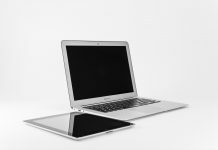 In fact, you may even prefer opting for something a bit cheaper since cheaper tablets are usually a bit smaller anyway. The Huion H430P is a great entry-level graphics tablet that gives you 4,096 levels of pen sensitivity in a very compact package. You get four customizable express keys and Windows 7+/MacOS 10.11+ compatibility. You will also get eight free pen nibs and a 12-month warranty from the manufacturer. The best part is, all of this will only cost you about $34. In other words, you can buy this graphics tablet if you’re willing to make your coffee at home for a week or two. Sometimes it’s nice to have the benefits of a larger, more powerful graphics tablet without actually making the step up in size. If you’re looking for a powerful tablet that won’t make your monitor look puny, the Wacom Cintiq 13HD is a good place to start. The 13.3” display of this powerful drawing tablet is considerably smaller than the Wacom Cintiq 22HD, but it still packs all the power and features you’d expect from this top-of-the-line tablet series. The Wacom Cintiq 13HD has an ergonomic stand that makes it easier for you to draw comfortably, plus it’s incredibly easy to set up with a Mac or Windows computer simply by plugging the USB and HDMI cables in and installing the necessary driver software. Of course, you’ll also get access to the Wacom Pro Pen 2 which means almost no lag, tons of sensitivity levels, and a tilt feature that feels great when drawing. At just about $800, the Wacom Cintiq 13HD will definitely set you back a bit, but it’s worth it if you want the ultimate in graphics tablet technology in a reasonably sized package. This tablet isn’t actually marketed as a drawing tablet, but that doesn’t mean it isn’t a very capable option if you want to draw on your computer. 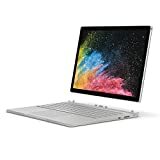 The Microsoft Surface Book 2 is a sort of hybrid between a laptop and a tablet, which means it comes with a state-of-the-art stylus designed by Microsoft. When it comes to drawing on the Microsoft Surface Book 2, you can take advantage of the 4,096 sensitivity levels that allow you to draw a huge range of different strokes. Perhaps the best thing the Microsoft Surface Book 2 has to offer is the same thing the Wacom MobileStudio Pro 13 offers: you don’t have to use this device purely as a graphics tablet. If you’re not in the mood for drawing, you can simply use your Microsoft Surface Book 2 to write, browse the web, check your email, or even simply watch videos on YouTube. Again, this isn’t necessarily a graphics tablet by design, but it still serves as one of the best graphics tablets if you want something that doubles as a computer. The Apple iPad Pro 12.9 is the best Apple has to offer in its line of tablets, featuring more powerful hardware, a larger screen, and Apple Pencil compatibility. The 12.9” screen on this tablet also has a resolution of 2732 x 2048, which means you can really get down to working on the small details of a drawing. 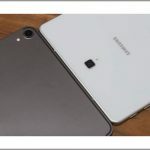 You will have to pay about $90 extra if you want to buy the Apple Pencil with your Apple iPad Pro 12.9, but it’s absolutely necessary if you want to use your tablet as a graphics tablet. It will also enhance the way you use your tablet even when you aren’t drawing.